Richard Felix was born in Derby and educated at Stanley College. He was in the Territorial Army for 9 years, with the third Battalion of the Worcestershire & Sherwood Foresters. 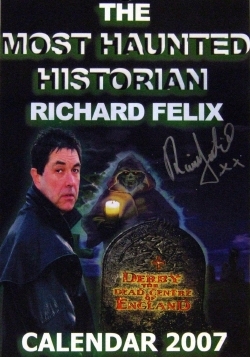 Most Haunted brought Richard Felix much public recognition, and has led to him producing his own videos. 35 videos (with more to follow) are the result of his Ghost Tour of Great Britain where he visits haunted locations all over the country. He, and his team of Steve Lilley (cameraman) and Delicia Redfern (researcher & photographer) have visited castles, pubs, churches, graveyards, old halls, gaols and many other sites during the course of making these videos. There is also a series of books to accompany the DVDs. I have been on several of Richard Felix's ghost walks around Nottinghamshire's Annesley Hall (with its associations with Lord Byron) which isn't far from where I live. Richard is fascinating to listen to and very enthusiastic about his subject. I have taken a lot of photos in the darkness of the ruined Annesley Hall which was the subject of a Most Haunted episode (Series 5 No.7). It was after midnight, and very spooky, and I managed to capture some 'orbs' on my photos, especially a very large orange one! I also went on a ghost walk with Richard Felix to the Treasurer's House in York, but for that amazing ghost story you will have to go to my webpage on Harry Martindale. Richard is married to Julie, and has two sons who now run Derby Gaol. They all live in a 17th Century farmhouse in Derbyshire. 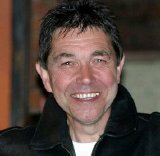 Following the filming in Derby Gaol, Richard Felix was invited to join the Most Haunted team as their historian, and he stayed with the programme until he left it in 2006. 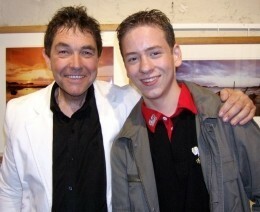 He appeared in 7 series altogether starting in Series 2. The gaol is in Derby's Friar Gate, and was once the site of many hangings and executions. These included the Pentrich martyrs of 1817, who were charged with treason, hanged, and beheaded in front of the building. With so many deaths here, the gaol has acquired a reputation for its hauntings. 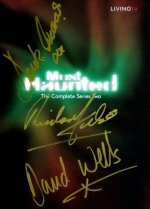 In 2002, it was the subject of an early episode of Most Haunted, the ground-breaking ghost series from Antix Productions, where a film crew, paranormal investigators and a psychic medium are locked in haunted locations looking for anything supernatural. One of these became a reality in 1992 when Richard Felix bought the Derby Heritage Centre, housed in the town's Old Grammar School. His family owned a business selling records, and Richard was part of this for thirty years. However, he had always been fascinated by history, and ghosts, and in 1988 decided to turn his back on selling pop records and 'sell' local history instead. He became the chairman of the Derby and Derbyshire Tourism Association and looked for suitable ways and ideas to promote the area. 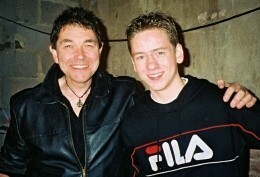 I have met Richard Felix several times - at Derby Gaol, York and especially at Annesley Hall where I have been on some of his ghost walks and midnight vigils! He is fascinating to listen to because he is so enthusiastic about his subject. He knows everything about the history of Annesley Hall and even has the actual lead shot fired into the stone wall by Lord Byron! He has told me lots of interesting things about the making of the Most Haunted programmes. in 1997, and bought Derby Gaol, restoring it as closely as possible to its original state, as a tourist attraction. Richard Felix talking to our group at Annesley Hall, wearing his famous, unique, black leather coat which Derek Acorah wanted to buy! !